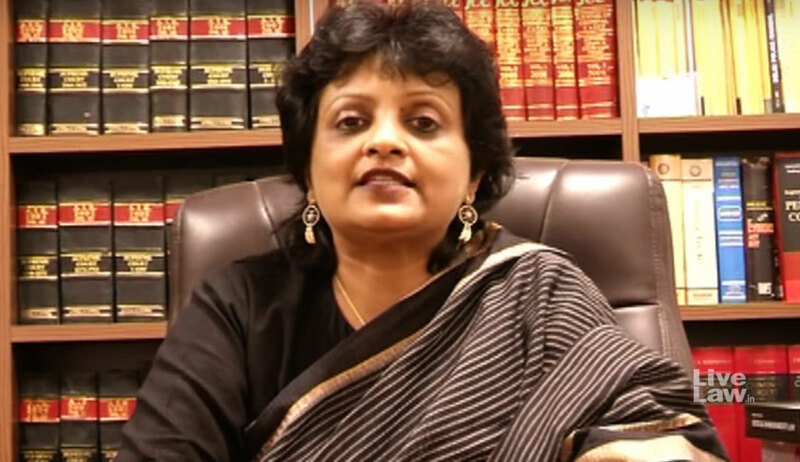 Full text of Lecture delivered by Senior Advocate Rebecca M.John at the Delhi High Court in a Seminar entitled "Understanding the Unlawful Activities ( prevention) Act 1967"
At the start of the Sino-Indo Conflict on 20th October 1962, a state of Emergency was declared under Article 352 of the Constitution of India, on grounds of external aggression. During the same time period, a domestic crisis was brewing with Mr. C.N. Annadurai, leader of the Dravida Munnetra Kazhagam’s (DMK) openly advocating his party’s agenda of self-determination, including secession of Tamil Nadu from the Indian Union. The Central Government was in complete panic and wanted to put some restrictions on citizens’ freedoms and consequently it introduced the Unlawful Activities (Prevention) Bill, 1967 before the Emergency was to lapse. Thus, amidst high voltage debates marked by the need to uphold the sovereignty and integrity of India, the Unlawful Activities (Prevention) Act, 1967 (UAPA) was born. The UAPA, 1967 essentially and primarily dealt with “unlawful activity”. Section 2(f), in simple words, defined unlawful activity, as any action by an individual or association which is intended to bring about cession/secession or such action as to disrupt or question the sovereignty and territorial integrity of India. On 23rd May 1985, the Terrorist and Disruptive Activities Act, 1985 was enacted ostensibly to control terrorism in Punjab and other parts of the country. The Act introduced unprecedented provisions having overriding effect over the Criminal Procedure Code and the Constitution in many written and unwritten ways. Given the widespread allegations of misuse of the Act and its very low conviction rates, TADA was allowed to lapse under a sunset clause in 1995. However, on 24th December 1999 IC-814 was hijacked and on 13th December 2001 the Indian Parliament was attacked and in the backdrop of these two events it was felt that there was need to strengthen the anti-terrorism law and consequently the Prevention of Terrorism Act was passed by Parliament on 28th March 2002. But again, due to widely reported misuse of POTA including the arrest of Vaiko, the MDMK leader from Tamil Nadu under POTA, the Act was eventually repealed on 21st December 2004. By enacting TADA and POTA, Parliament left no doubt in suggesting that the UAPA did not cover acts of terrorism. By 2004, both these Acts stood repealed. The State felt there was a potential vacuum and hence proceeded to graft terrorism offences of those statutes into the UAPA. The UAPA as it stands today deals with two qualitatively and fundamentally different kinds of criminal acts - “Unlawful Activity” and “Terrorist Acts”. Let me briefly explain the structure of UAPA. The Act is broadly divided into two. The first half of the Act deals with offences relating to Unlawful Activity and the second half deals with Terrorist Acts. A careful examination of the definition reveals that it has the potential to criminalise even those peaceful ideas, thought processes and actions that have no propensity to violence, or create public disorder or disturbance of law and order. Subsection (iii) of Section 2(o) which includes “any action which causes or is intended to cause disaffection against India”, in fact reiterates the offence of Section 124A of the IPC relating to sedition, without taking nto account the two explanations of the same which clarify that causing disapprobation of the actions of the Government without exciting or attempting to excite hatred, contempt or disaffection, do not constitute an offence. This is the crucial difference between Section 124A and Section 2(o), since the latter makes no distinction between peaceful, lawful activities on the one hand, and violent activities on the other, that have the intent or the tendency to create public disorder, and therefore, fails to pass the filter test laid down by the Supreme Court in its Constitution bench judgment of Kedar Nath Singh v State of Bihar [AIR 1962 SC 955]. (b) advocates, abets, advises or incites the commission of, any unlawful activity, shall be punishable with imprisonment for a term which may extend to seven years, and shall also be liable to fine. (2) Whoever, in any way, assists any unlawful activity of any association declared unlawful under section 3, after the notification by which it has been so declared has become effective under sub-section (3) of that section, shall be punishable with imprisonment for a term which may extend to five years, or with fine, or with both. (ii) in any other case, shall be punishable with imprisonment for a term which shall not be less than five years but which may extend to imprisonment for life, and shall also be liable to fine. Terrorist Acts are defined separately in the UAPA and comprehensively in section 15. The definition of Terrorist Act in Section 15, makes it clear that it is only the most serious cases of violence, which will come within the ambit of the section. Aside from the overlap between Section 2(o) and Section 124A IPC, while defining “Unlawful Activity”, and its failure to distinguish between peaceful and violent acts, what else makes this Act problematic, and generally draconian in its application? 20.Punishment for being member of terrorist gang or organisation.—Any person who is a member of a terrorist gang or a terrorist organisation, which is involved in terrorist act, shall be punishable with imprisonment for a term which may extend to imprisonment for life, and shall also be liable to fine. Section 38 of UAPA describes the offence of association with a terrorist organization. (b) that he has not taken part in the activities of the organisation at any time during its inclusion in the Schedule as a terrorist organisation. (2) A person, who commits the offence relating to membership of a terrorist organisation under sub-section (1), shall be punishable with imprisonment for a term not exceeding ten years, or with fine, or with both. While section 20 makes it culpable if any person is a member of a terrorist gang or organization, section 38 makes ‘association’ or ‘professing to be associated’ with a terrorist organization, with the intention to further its activities, an offence punishable for a period upto ten years. Significantly, the heading to Section 38 reads: “Offence relating to membership of a terrorist organization”. There is a very definite overlap between Sections 20 and 38 of UAPA and one is unclear under what circumstances s 20 or s 38 are to be invoked. Sometimes they are invoked together often leading to more confusion. Interestingly, the proviso to Section 38 gives an exit option to an individual who associates himself or professes to be associated with a terrorist organization. However, the proviso places a very high evidentiary standard on the accused as he is required to “prove” that at the time when he associated himself with such organization, the organization was not declared as a terrorist organization and since the time the organization was declared a terrorist organization, he had not taken part in the activities of the said organization. A comprehensive analysis of Section 20 and 38 reveals that terms like ‘membership’, ‘associates’, and ‘support’ are nowhere defined under the Act and is simply open to any loose, subjective interpretation based on the whims of the investigating officer. The First Schedule appended to the Act gives a list of banned “Terrorist Organisations”. While naming many of them the statute also uses ambiguous phrases like “All its formations and front organisations”. What are front organisations? What do we mean by formations? Who makes the decision to declare an organization as a front organization of another terrorist group? And is this decision based on any substantive material? Can an undefined phrase which could potentially lead to severe penal consequences be legal or Constitutional? The expression “formations and front organisations” also have the effect of defeating the intent of the proviso to Section 38, given to an accused. At the cost of repetition, it may be reiterated that Section 38 allows an accused to disassociate himself from a terrorist organization, if he is able to prove that his association with the same pertained to a period when it was not declared a terrorist organization, and since the time it was declared a terrorist organization, he has not participated in any of its activities. Since front organisations are not defined or specified by name in the First Schedule, one is unable to understand as to how a person can disassociate himself from the activities of such an organization. The mischief of the phrase lies in the ability to rope in as many organisations as “front organisations”, on a post facto basis, thereby depriving an accused of a possible defence that was otherwise available to him under Section 38. Increasingly in cases under the UAPA, investigators being unable to prove membership, association or support to banned organisations - in the light of several Supreme Court judgments namely Arup Bhuyan v State of Assam [(2011) 3 SCC 377] and Indra Das v State of Assam [(2011) 3 SCC 380] where it was categorically held that mere membership is no offence - a new trend has now emerged where reliance on electronic evidence like emails, messages, mobile records, and other materials ostensibly recovered from phones, laptops etc. is being placed to prove the culpability of persons charged. And often in such cases, electronic evidence of the aforesaid nature is the only evidence against the accused. And almost all accused are aggrieved that the so-called electronic evidence recovered from their devices are false, fabricated and planted. In these circumstances, procedural safeguards pertaining to the use of electronic evidence in trials as postulated under the Indian Evidence Act, assume far reaching significance. On 17.10.2000, Section 65B was introduced in the IEA, which elaborately set out the ingredients necessary for the admissibility and proof of electronic records. In 2014, a three member bench of the Supreme Court, in a case titled Anvar PV v. PK Basheer [(2014) 10 SCC 473], held that the requirements under Section 65B of the Indian Evidence Act were mandatory in nature and that a certificate under Section 65B(4) had to be furnished by a person who was deposing with regard to the electronic evidence, “when the same was produced in evidence”. Over a period of time, however, the safeguards provided within Section 65B of the Evidence Act and endorsed by the three member Basheer bench was systematically watered down, causing grave prejudice to the rights of an accused person. A judgment of the Delhi High Court in Kundan Singh v. State [2015 SCC OnLine Del 13647], held that a Section 65B Certificate could be produced later by invoking Section 311 CrPC or even at the appellate stage by invoking Section 391 CrPC. In 2017, the Supreme Court in Sonu @ Amar v. State of Haryana [(2017) 8 SCC 570] held that, The mode or method of proof is procedural … and even if an objection is raised about the admissibility of the electronic evidence the opposite side has the right to rectify it at any stage. What can be seen here is the opening of a wide window for the prosecution to correct its mistakes and to introduce evidence through the backdoor, and this is even more evident in trials under the UAPA. In cases where punishments are so high, should we not insist on strict compliance with procedural requirements both in letter as well as in spirit? What should not be forgotten is that, even today the law laid down by Basheer by a three member bench holds the field and the judgment of this Court in Kundan Singh v. State, and that of the Supreme Court in Sonu @ Amar v. State of Haryana are per incuriam. ONE OF THE FEW INBUILT SAFEGUARDS IN THE UAPA IS WITH RESPECT TO SANCTION TO PROSECUTE AN ACCUSED PERSON. BUT IS THIS SAFEGUARD FOLLOWED IN SPIRIT OR DOES IT FLATTER TO DECEIVE? Section 45 of UAPA requires that there has to be a valid sanction for prosecution, before the Court can take cognizance of the offences under the Act. (ii) under Chapters IV and VI without the previous sanction of the Central Government or, as the case may be, the State Government, and where such offence is committed against the Government of a foreign country without the previous sanction of the Central Government. In 2009, Section 45(2) was introduced in the UAPA adding an additional layer of protection for an accused person, as it provided that the sanction accorded by the Central or State Government as the case may be, should be ratified by an Authority appointed in this regard, to independently review the evidence gathered during investigation. In principle, the idea of an independent review of the evidence gathered by the investigating agency was a welcome move. In practice, it is a mere eyewash. Let me give you the example of a trial conducted by me under the UAPA (I will not be revealing names so as to protect the identities of all concerned). Here is a brief background. A charge sheet was filed against person “A” in 2010 after the Central Government granted sanction to prosecute him on 10.02.2010. During the course of arguments on charge in February 2012, it was brought to the notice of the court that the sanction order was defective as there was no compliance of Section 45(2). The prosecuting agency was unaware of the amendment to Section 45, which required the sanction granted by the Central Government to be independently reviewed by an Authority set up in this regard. In fact, up until that time - that is two years since cognizance was taken erroneously - no Authority as contemplated under Section 45(2) had been set up. It was elicited during cross-examination that the State was made aware of the need to set up an independent review authority only after the Director of Prosecution sent out an advisory based on our arguments on charge. To make matters worse, as the arguments on charge were concluding, the agency placed before the Court, a fresh sanction order which was now ostensibly in compliance with Section 45(2). It was also revealed in cross-examination that the Authority was hurriedly constituted and notified so that the challenge to the defective sanction could be defeated. The Court, however, refused to give any credence to the freshly minted sanction and discharged the accused. Here is an extract of the cross-examination put to the sanctioning authority. Are you aware that the sanction dated 10.02.2010 was declared by the Court of Sh. X vide his order dated 28.03.2012, as non-est and void, because of the non-compliance of the provisions of Section 45(2) of the UAPA? The Director, Prosecution, vide his letter dated 13.03.2012, had advised the department to follow the provisions of the Act regarding compliance of Section 45(2), UAPA. Is it correct that the defect in your original sanction order was brought to the notice of the prosecuting agency during the course of arguments on charge on 02.02.2012 and the advisory issued by the Director, Prosecution, on 13.03.2012, was a consequence of the same? I am unaware of the specific proceedings in Court. Are you aware that accused A was discharged by the Court vide order dated 28.03.2012, on account of the invalid sanction order? Is it correct that on 30.03.2012, a fresh charge sheet was filed and the corrected sanction order dated 23.03.2012 was surreptitiously sneaked in with the fresh charge sheet? When was the authority in terms of Section 45(2) constituted in the present case? The authority was constituted on 27.02.2012 and the order indicating the names of members of the authority were notified on 14.03.2012. Is it correct that the Authority was constituted after the charge sheet was filed in the case and at a time when the court was hearing the arguments on charge? When did you forward the materials of the case to the authority for consideration and deliberation? The same was forwarded on 15.03.2012. Is it correct that the sanction orders dated 10.02.2010 and 23.03.2012, being Ex. PW-20/A and Ex. PW-20/DA, are the same, and the only difference is the endorsement by different authorities? Between 14.03.2012 and 23.03.2012, can you specify the number of sittings the authority held? It is wrong to suggest that the authority appointed under Section 45, UAPA, was given a mandate to grant sanction and there was no independent review of the evidence gathered during the course of investigation. The reason I highlight this as a case study is to show the complete disconnect between what is required by the law and what is produced in court. The Authority appointed under Section 45(2) has a salutary role to play, in as much as it is required to “independently review the evidence collected by the prosecuting agency”. It is not expected to simply endorse the findings of the investigating agency. In serious cases of the kind being discussed here, this role can never be underestimated. It always amazes me that despite all our collective experiences about Police and State agencies, when it comes to assessing and scrutinizing the evidence collected by them, we seem to have full faith in their integrity and skill. Section 43D(2), is in variance with Section 167 of CrPC, and simply put, a single remand can now extend to 30 days instead of 15 days and the charge sheet can be filed within 90 days, that can be extended upto 180 days. This classification, aside from being arbitrary, also violates Article 14 since it fails to distinguish between offences that carry a maximum sentence of 2 years (Section 10(a) for example), and those which carry a sentence of death or life imprisonment (Section 16(a)). It also violates Article 21, as it is completely arbitrary and unreasonable, since the extension of the period of judicial custody from 60 days to 90 days to 180 days for all offences regardless of the punishment of these offences, is unduly onerous. Under Section 43D(5) of UAPA, a person accused of an offence under Chapter IV & VI of the Act which are terror-related, cannot be released on bail if the Court certifies that the allegations against him are prima facie true. This provision is particularly problematic as there are some offences under Chapter IV that carry a minimum sentence of 3 years, for example, Section 19 (3 years), Section 18A (5 years), Section 18B (not less than 5 years) and Section 22 (3 years). Punishment for harbouring, etc.—Whoever voluntarily harbours or conceals, or attempts to harbour or conceal any person knowing that such person is a terrorist shall be punishable with imprisonment for a term which shall not be less than three years but which may extend to imprisonment for life, and shall also be liable to fine: Provided that this section shall not apply to any case in which the harbour or concealment is by the spouse of the offender. 18A Punishment for organising of terrorist camps. —Whoever organizes or causes to be organized any camp or camps for imparting training in terrorism shall be punishable with imprisonment for a term which shall not be less than five years but which may extend to imprisonment for life, and shall also be liable to fine. 18B Punishment for recruiting of any person or persons for terrorist act. —Whoever recruits or causes to be recruited any person or persons for commission of a terrorist act shall be punishable with imprisonment for a term which shall not be less than five years but which may extend to imprisonment for life, and shall also be liable to fine. Under Section 43D(4), there is a bar on the grant of anticipatory bail for offences under the Act. This is draconian and uncalled for, as in a given case it can be used to prevent gross miscarriage of justice. Is it not time to ask whether the UAPA is running counter to the established canons of jurisprudence? Is it not true that the UAPA serves as a reminder that we are so far away from the concept of ‘Constitutional morality’ and ‘Transformative Constitution’ that the Supreme Court so brilliantly enunciated in the recent Navtej Johar judgment? Does the UAPA not take us into a dark shadowy world of banned organisations and fronts of banned organisations, with its nebulous memberships and ambiguous associations, all based on loose language and loosely constructed, enigmatic definitions that are open-ended, vague and wholly unclear? Is not the allegation of misuse and the long periods of incarceration of undertrials, often without any credible or cogent evidence, a reality that we urgently need to address? Are we really interested in punishing the terrorist or is it simply a camouflage to keep the dissenter away for as long as the trial lasts, because given its track record, the process is really the punishment.